BOONE trailer from Christopher LaMarca & Kat Taylor on Vimeo. A unique sensory and unsentimental peek behind the veil of the Utopian dream of farming. BOONE captures the daily lives of farm founder Mookie Moss and fellow farmers Dana and Zac and as they work relentlessly, sunrise to sundown in order to sustain the fragile balance needed to support the land and animals they care deeply for. Mookie and his crew strive to continue their lifestyle of sustainability and self-reliance, but their passionate dedication is hindered by strict government laws. There have been many experiential films that have come out over the past few years that prioritize sensory accuracy over conventional storytelling; films that rely on an emotional exprerience rather then information to guide viewers. 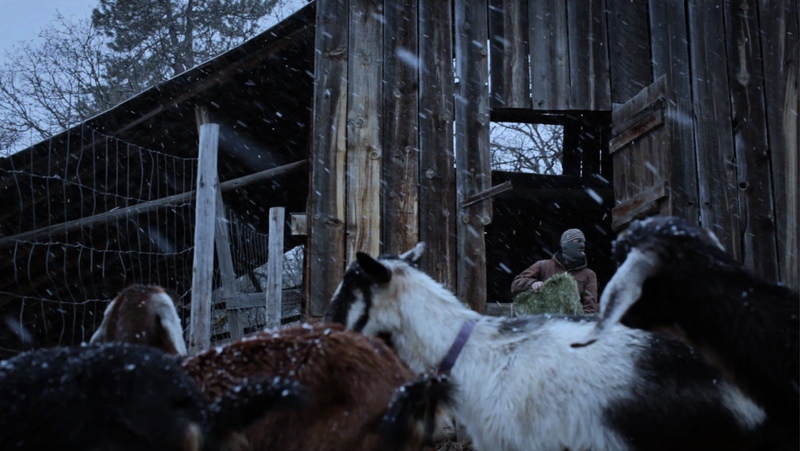 In the plethora of farm films structured around advocacy, BOONE stands out; it’s cinematic and sensory approach explores this forgotten rural landscape and the harsh reality of a small farm trying to survive. Landscape was published by pOwerhouse books. His work has been exhibited at the International Center of Photography’s Triennial Exhibition Ecotopia and included in publications such as Aperture and American Photography. Christopher contributes to Rollingstone magazine, GQ and Mother Jones among others.